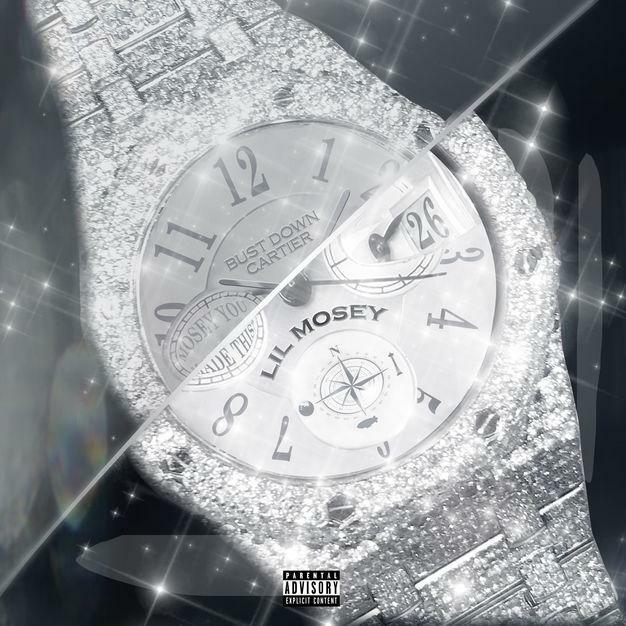 Home>New Songs>Lil Mosey Songs> Lil Mosey Flexes His Brand New "Bust Down Cartier"
Lil Mosey is one of the most buzzing young rappers right now. At just 17-years-old, the Washington-based artist has a bright future in front of him. He's already achieved success on the charts with "Noticed" and now, he's trying to follow that up with his next hit. Today, he introduces the world to his brand new bust-downs, flexing his Patek Philippe and Cartier watches. The young rapper has an ear for solid beats, melodically singing his way throughout his tracks. Most of his appeal comes from crafting singles that make you want to press repeat. He is marketing his sound to a pop-rap crowd and it's working perfectly. His music is ready for parties, the gym, anywhere. "Bust Down Cartier" is another solid addition to his repertoire, letting fans hear just a glimpse of what he's capable of before unleashing his next project. What do you think of Lil Mosey's latest single? Afrojack Rounds Up Rae Sremmurd & Stanaj On "Sober"
SONGS Lil Mosey Flexes His Brand New "Bust Down Cartier"